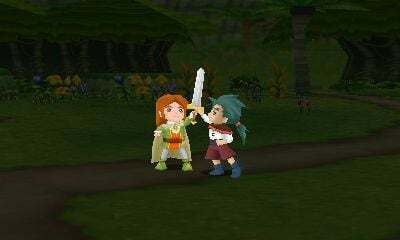 In a season already brimming with high-profile RPGs on the 3DS, Return to PopoloCrois: A Story of Seasons Fairytale stands out: a crossover between Yohsuke Tamori's PopoloCrois — an enduringly popular fantasy manga series that's served as the basis for several anime adaptations and plenty of PlayStation RPGs — and the Bokujo Monogatari games, known as Harvest Moon and now Story of Seasons in the West, it exudes a wonderfully wholesome vibe that we can't wait to dig into. We've been following the title closely, from our first impressions at E3 2015 to our interview with Localization Specialist Tom Lipschultz. Recently, we were fortunate enough to be able to chat with PopoloCrois creator Yohsuke Tamori about his beloved series, its crossover with Story of Seasons, and game design in general. First of all, could you introduce PopoloCrois to readers who might be new to the series? 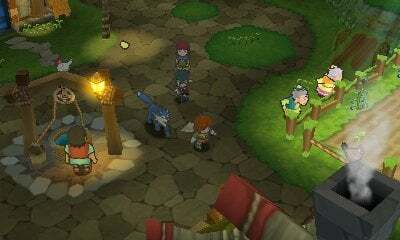 PopoloCrois is a heartwarming roleplaying world amidst a sea of very brutal RPGs, and I want people to know that heartwarming RPGs like this still exist, since it's so rare to come across them these days. How does Return to PopoloCrois: A Story of Seasons Fairytale fit in with the PopoloCrois series as a whole? I was surprised and a little confused when the crossover was first suggested, but the more I looked into the Bokujo Monogatari games, the more it struck me that these two series have a lot in common. They both focus on warmth and humanity, and when I realized that, it made the idea of a crossover seem like a perfect fit. By adding Bokujo gameplay systems and ideas to the world of PopoloCrois, I feel like the game world can now be a lot more immersive for players. I read all the Japanese manga that I could get my hands on from the 1960s and '70s, but I haven't read many others since. In the '80s, I was more into reading French BDs (bandes dessinées, or Franco-Belgian manga), and nowadays, I tend to pick anime over manga for my personal enjoyment most of the time. Speaking of manga, the art style in A Story of Seasons Fairytale is beautiful, and very colourful — did the manga art direction influence that in any way? How did you think about transferring PopoloCrois designs into 3D? The original manga was created for kids, so I tried to follow that same art direction. From the very beginning of the PopoloCrois game series, hand-drawn animation was one of its selling points, so when we decided to take this title into 3D, I tried to retain as much of that original hand-drawn animation feel as possible. Similarly, we love what we've heard of the soundtrack — can you tell us a little bit about the audio direction for the game and what went into that? Did you have an idea of what you wanted PopoloCrois to sound like as a game going in? The composer, Yoshiyuki Sahashi, and the arranger, Tetsuo Ishikawa, have been working on the audio for PopoloCrois throughout the entirety of the series, so I trusted them with the music and just left it all to their discretion. I think they did a great job with Return to PopoloCrois: A STORY OF SEASONS Fairytale as well. What's different about PopoloCrois as a game, as opposed to as a manga or anime? Are there things you can do differently as a designer? Or parts of the experience that players will experience differently than readers or viewers? Some of the characters and settings in the game series and anime series alike slightly differ from those in the original manga series. Compared to creating manga, many more talented people are involved in the creation process for the game series and anime, so if I receive any new ideas or suggestions that might make things work a little better, I don't mind changing them from the original scenario I created. 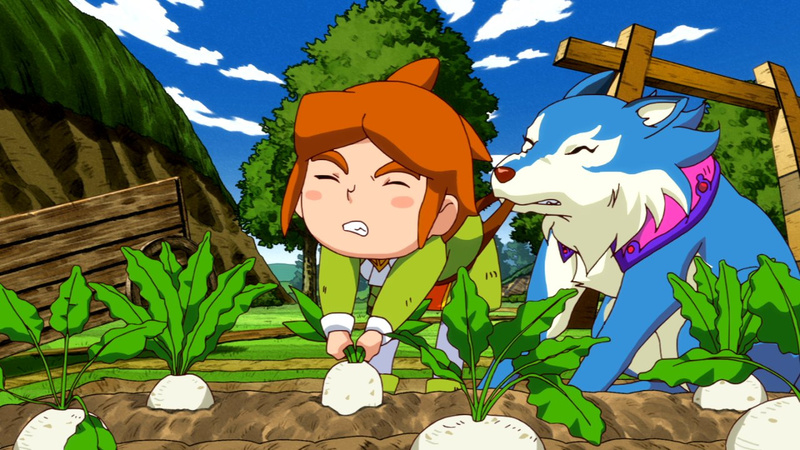 How did you approach integrating the Story of Seasons elements into Return to PopoloCrois? Were they an easy fit with the PopoloCrois series as a whole? Prince Pietro has always been very curious about the world around him, so he's played with cows and tried his hand at farming in both the manga and anime series already. Because of this, there was really nothing unusual about seeing him hold a hoe or till a field. I think the two franchises fit together really well. 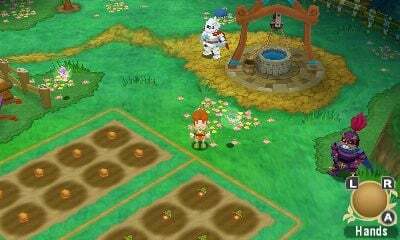 Were any Story of Seasons elements reimagined to fit in better with the PopoloCrois universe? I know the romance system has been tweaked from a typical Story of Seasons approach, for instance — could you tell us about that and any other examples? Throughout the PopoloCrois series, Narcia is Prince Pietro's one and only, so I thought fans would be unhappy to see him fall in love with any other female characters. That's why there isn't a romance system in place quite like you'd normally see in a STORY OF SEASONS game, though we did add in some female characters who really look up to Prince Pietro to retain a little bit of that flair. There's no calendar system in this game, however, since that would make it rather difficult to ensure story progress matches up appropriately with the time of the year. Would you like to do more with PopoloCrois and Story of Seasons together in the future? Either as a game or in another format? 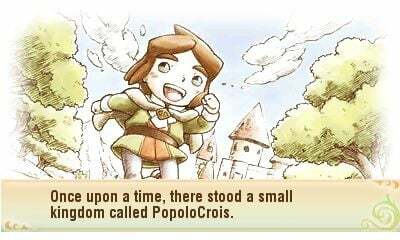 PopoloCrois is a word I created that combines the Italian word "popolo" (people) and the French word "croisé" (crossing), and it's meant to represent various ethnicities and cultures crossing paths to create one big story. So for me, any type of crossover (whether it be a video game or something else) is a totally natural thing that's entirely in the spirit of PopoloCrois. Do you have a favourite character in Return to PopoloCrois: A Story of Seasons Fairytale, and why? Among the new characters, my favorite is definitely Rue. He's just really cute and really nice! I also have a special fondness for the Black Baron. He's been around since the very beginning of the manga, but he's never appeared in any of the games or anime prior to this. Do you play video games when you're not designing them? What are some of your favourite games? Are there any that inspired you when thinking about Return to PopoloCrois: A Story of Seasons Fairytale? I used to play the Dragon Quest and Final Fantasy games, but I haven't played much of anything lately. I feel like the contents of games in general have gotten more realistic, more intense, and just downright brutal in a lot of cases, and that kind of stuff makes me not want to play video games any more. From what we've played, Return to PopoloCrois: A Story of Seasons Fairytale seems to have a fantastic child-like sense of scale and wonder. Is that a part of PopoloCrois in general, or something unique to this game and its story? That's what PopoloCrois is, and I'm really glad to hear you felt that way when you were playing. I hope other players feel that too! Is Return to PopoloCrois: A Story of Seasons Fairytale part of bigger plans for the PopoloCrois series as a whole? Are you working on any other projects at the moment? Originally, the PopoloCrois series began as a first-party Sony Computer Entertainment title, so the series had always been released only on Sony platforms. Because of this crossover with STORY OF SEASONS, however, we were able to open up the door to new platforms, so this title was a big opportunity for the PopoloCrois series as a whole, and I hope that with it, we can bring more people to the world of PopoloCrois. Would you like to see more PopoloCrois — manga, games, or anime — released in the West? It's not uncommon for three generations of a single family to all become fans of PopoloCrois, so I hope overseas audiences will carry on the tradition of playing PopoloCrois with their children and pass down the series to a new generation. That way, more PopoloCrois creations can find a home there. Is there anything else you'd like to let our readers know about the game? I hope you'll all feel like you're a part of the heartwarming world of PopoloCrois, and I hope you'll greatly enjoy your time there! We'd like to thank Tamori-san for taking the time to talk to us. Return to PopoloCrois: A Story of Seasons Fairytale is out now in Europe and Australia, and is set for a March 1st release in North America. It's a good game. I enjoyed it, although I think its simplicity will put some gamers off. My heart needs warming. I don't have a ready copy of the Mother series beside me. Therefore, I will buy this game. Sound logic, if you ask me. I would buy this in a heartbeat if it was released as a physical box edition in UK/Europe as I LOVE my farming type simulators. I have all of the following farming simulator games and they are all the physical box edition. 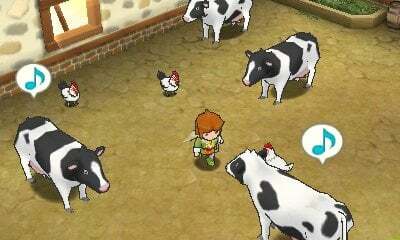 It is not technically a farming game per se, but I also have the Nintendo 3DS game called Hometown Story as well. I was interested, but I don't like the Harvest Moon series at all, so i'll skip it. I'll look into the PSP game, though. Looks like a good, simple, peaceful game... but its title is a mouthful and a half! Thank you for the excellent interview, Morgan! Very much interested in this game, now. I only wish we got preorder bonuses! @argh4430 This really is much more of an RPG than anything else. I'm honestly not a huge fan of the Harvest Moon/Story of Seasons games either, but I absolutely adored this game for its story, its characters, and its general progression. You can ignore the farming elements altogether if you want (they play out kind of like a game-spanning minigame, like Triple Triad in FF8 or Blitzball in FF10 — omnipresent, but optional), and just play it as a traditional JRPG, and it'll feel just like a JRPG right out of the late '90s. "I used to play the Dragon Quest and Final Fantasy games, but I haven't played much of anything lately. I feel like the contents of games in general have gotten more realistic, more intense, and just downright brutal in a lot of cases, and that kind of stuff makes me not want to play video games any more." I totally agree with this statement. I have really been leaning on Retro and IndieGames lately as they don't have that feel of super realism. A fantasy world should be that. A fantasy World. I appreciate some realism from time to time. But IndieGaming is really calling my name these days.